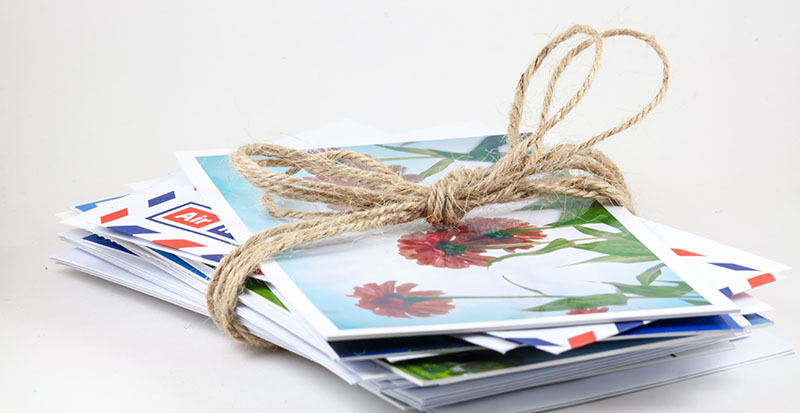 Greeting cards serve many purposes for both businesses and individuals. Whether you use them as an elegant thank you or a way to drum up new business, a custom card is the perfect answer. We offer custom greeting cards that allow you to order in bulk, making it easy to have cards on hand whenever the need arises to send one out. The options available for custom sizes, papers, finishes, lamination, die cutting, perforation, foiling and embossing mean you have nearly limitless ways to create unique greeting card designs. Beyond material options, there are also many various ways greeting cards can be constructed and folded to adapt to your individual needs. The most traditional card style is a 2-panel card folded either vertically or horizontally with artwork or images printed on the front cover and text inside. A flat one-panel rack card combines text and image onto a single surface, making it great for mailing inside informational packets or leaving on reception counters for customers to take. More complex 3- and 4-panel cards come in roll, accordion and gate fold options to accommodate varying styles of artwork and interaction. Greeting Cards can be formatted for personal, professional or promotional use and can fit existing imagery you have or be optimized for custom artwork. If you are not sure what type of card will best suit your needs, contact the experts at Global Printing Solutions and we’ll help you find the ideal solution for your project! Don’t need a totally custom design? Click here to choose from hundreds of beautiful templates and order online! Your cards will be delivered right to your door.